Welcome to New World Chiro. What can you do to stop back pain? Many of our patients come into clinic with back pain. Chiropractic often helps to address the cause of the pain while improving your alignment and posture. 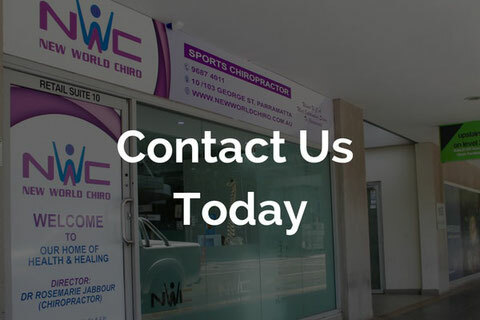 If you’re looking for a chiropractor close to Rydalmere to help with your back pain (and other health challenges), contact New World Chiro today. 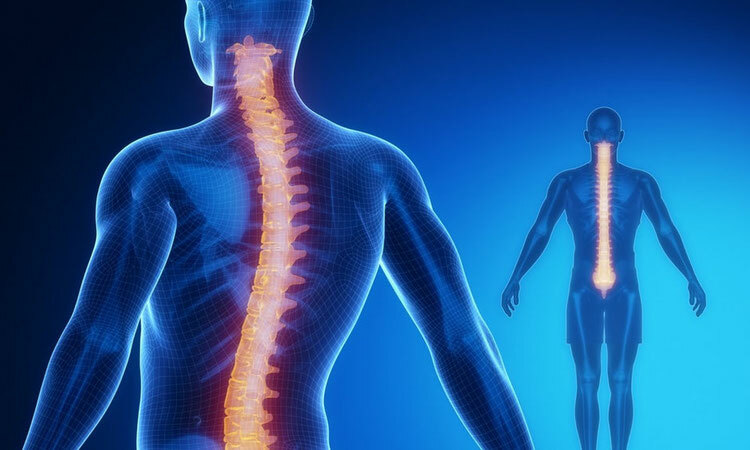 Let’s face it, your spinal bones (vertebrae) are arguably the most important bones in your body, as they provide the foundation and strength for your skeleton. But, it’s easier said than done to keep them as healthy as possible. Studies show that roughly 80% of us will experience some sort of back pain throughout our lifetime, which highlights how common back pain is. There’s a plethora of reasons for why 80% of us experience back pain. It can be hard to not only prevent, but to treat as well. However, there are some solid catalysts to back pain and they can introduce an array of sub-issues. Firstly, back pain prevents you from being able to move freely. Everything from getting out of bed in the morning to driving your car can be troublesome. Subsequently, if you aren’t able to move freely, your quality of life may reduce drastically. Secondly, back pain stops you from being able to enjoy your favourite activities, especially ones that relate to sport. Plus, whenever you are trying to do something remotely active, the back pain will no doubt hinder your performance, so you can’t function as you normally would. Among the multitude of causes, one of the most common is poor posture. In a society where so many people are sitting down for prolonged periods of time, it’s no surprise that perfect posture is a rare thing. That then leads to strained muscles and misalignment, which can trigger a whole host of other problems. Other causes of back pain include sports injury, disc injury and incorrect lifting technique. That’s what makes warming up and proper technique so important when it comes to exercise and carrying heavy objects. In addition, one last cause of back pain is disease, which is far more uncommon but can be very serious. When it comes to prevention, it’s all about taking precautionary measures and ensuring you do everything possible to limit the risk of developing back pain. One of the things you can do is to lead an active lifestyle, as exercising regularly will keep your muscles, joints and ligaments feeling fresh and healthy. Take part in activities such as yoga, daily stretching and light gym workouts. Moreover, another thing you can do is to try and avoid any heavy lifting, as if you try to push yourself you’ll only end up injuring yourself. If you’re in pain, place an ice pack on the problem area for no more than 10 minutes at a time. Ice therapy helps to reduce inflammation and sooth feelings of pain. Try to sleep flat on your back – sometimes this can be more difficult than it sounds as you may be in pain. Over the longer term, if you can adjust to sleeping on your back, you will stop your spine from twisting into unusual positions, which may prove beneficial. You’ll also need to focus on improving your posture because if you’re crooked on the outside, chances are you will be crooked on the inside. Doing that yourself can be tricky, which is why chiropractic care is so beneficial! That’s where New World Chiro comes in. What is the Crack/Pop Sound during an Adjustment? Is it safe? The noise some people hear when they are being adjusted is just ‘stuck’ joints being opened up, the same way that when you crack your knuckles you hear a noise. Studies show there is very little risk in having a chiropractic adjustment. In Australia, chiropractors are 5-year trained health professionals that are required to study at university in order to perform the adjustment safely and effectively. Don’t worry, your bones aren’t being cracking or crunched, and chiropractors don’t ‘crack’ bones. The result of increasing joint movement is often a moment of relief and most people feel better after their adjustment. A series of adjustments are usually performed over time. Chiropractors are professional health practitioners that commonly help in cases of back and neck pain. Here at New World Chiro, our aim is to address your complaint, reduce your pain and correct any misalignments that we find. Alongside that, after you start care, you may begin to notice a reduction in muscle tension throughout your back area, improved flexibility and increased movement. Oh, and chiropractic care is much, much safer than taking opioid drugs (and with less side effects). So if you’re looking for a chiropractor close to Rydalmere, consider New World Chiro. Ultimately, if you are suffering from debilitating back pain, take action immediately before your problems spiral out of control. Without a doubt, the best approach is to address your concern as soon as possible. We are located close to Rydalmere.